I heard somewhere that it is possible to join an already started cruise if there are empty cabins left available on board. It sounds as a good option for island hopping if we don't have enough time for the 7 day options. Do you have any further information regarding these type of tours? That is a great way to do some island hopping, it is possible to join a tour from Dubrovnik to Split, visiting Islands Mljet, Korčula Šipan, Brač and Hvar on the way. 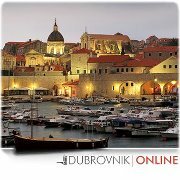 For those that already arrived in Dubrovnik you can just drop by at the Dubrovnik Travel Corner office, and see if there are any places left on some of the small ship cruises. ....... Regarding last minute bookings, those are available only at our agency usually 1-3 days before the ships arrive to/leave Dubrovnik. Should you be interested in such an option you can always visit us starting with April the 7th when the first cruise is scheduled. Simple and helpful! They also provide a discount for these last minute bookings, so keeping in mind that the 7 day cruises already are at a good price this sounds like an excellent deal.